Why Is Ice Slippery Enough for Skiing and Skating? Finding a scientific explanation for why ice is slippery seems simple enough, but it has actually been a subject of debate and confusion for centuries. As part of the world begins to bundle up for a blustery winter, let’s explore the science behind how the slipperiness of ice enables us to ski, skate, and even fall down in the parking lot. Water is a tricky chemical compound. As opposed to most liquids, water becomes less dense as it freezes and is therefore lighter as a solid than a liquid (as is illustrated by ice cubes floating in a glass of water). When you hold ice in your hands, it gets slippery as it melts from the warmth of your body. So why, in freezing temperatures, are you able to slip on ice when walking or skating around an ice rink? Surely, the ice is not melting in such a cold environment, right? Up until recently, the accepted theory for why ice is slippery suggested that the pressure from your body creates heat that melts the ice, causing it to become slippery. The true answer to why ice is slippery, however, involves more research, debate, and thought. Over the years, ice has proven to be a complex subject of study. Let’s take a closer look at why ice is slippery. The original theory for why ice is slippery centers on the idea of pressure melting. The theory suggests that when pressure is put on ice, it melts the top layer of the ice and creates a thin layer of water that enables you to skate, ski, and slide. The pressure melting theory is based on the fact that the freezing temperature of water is lower than 0°C for a particular range of high pressures, as shown in Figure 2 in Ref. 1. The pressure melting theory doesn’t fully explain ice slipperiness for many reasons. Think of a thin, sharp ice skate on a surface of ice, for instance. The pressure from the thin skate may be concentrated, but there is not enough pressure to explain melting at low temperatures (Ref. 1). In the 1880s, an engineer named John Joly tried to prove that pressure melting is what enables us to skate. He calculated a pressure of 466 atmospheres and a melting point of -3.5°C on the edge of a skate blade. Joly never explained how skating was possible at temperatures lower than -3.5°C, which is contradictory because most skaters prefer ice that is at least -5.5°C (Ref. 1). The pressure melting theory also doesn’t account for how a person’s foot, ski, or snowboard is able to slide across frozen ice and snow. Since all of these items have less pressure distribution than an ice skate, how can they possibly generate enough heat in cold temperatures to cause significant melting? 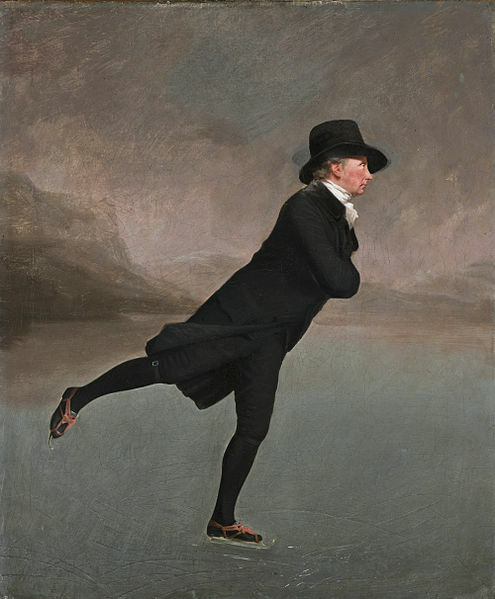 The Skating Minister by Henry Raeburn. Another theory, frictional heating, states that the friction from skating, skiing, or walking generates heat that melts the top layer of ice. This creates a thin layer of water, similar to pressure melting, on which objects can slide. Frictional heating, however, doesn’t explain how you can slip on ice while just standing still. Up until recently, the mystery of why ice is slippery stood at a standstill. Surprisingly, an observation made nearly two centuries ago is what led to a breakthrough in the research. In 1850, British physicist and chemist Michael Faraday stuck two ice cubes together and observed that they froze to each other. He presumed that there were thin liquid layers on each ice cube that were nonvisible to the human eye and that these liquid layers froze together and caused the ice cubes to stick. This observation led to the accepted belief that ice has a thin liquid layer on the surface, even at temperatures well below freezing. Called premelting, this process occurs when a liquid layer forms at the bulk melting point of the ice. On a molecular level, premelting occurs because the molecules on the top layer of the ice vibrate without something to hold them together (like another layer of ice molecules). A schematic of the premelting process between two phases. Image by Aetherwind — Own work. Licensed under CC BY-SA 3.0, via Wikimedia Commons. Premelting alone doesn’t account for the slipperiness of ice or why we are able to ski and skate with ease. It takes a combination of premelting and the friction on top of this premelted layer of ice, whether from ski, skate, or shoe, to cause slippage. This relatively new and accepted theory is what we now use to explain the concept of slippery ice. The behavior of ice is hard to study experimentally on the molecular level. We can’t study the interface between ice and a sliding object (known as the buried interface) because the object blocks where we would scatter electrons or particles. However, there is experimental data that shows how the temperature of the ice and speed of the sliding object affect the friction. Recent research on the slipperiness of ice from the Jülich Research Center in Germany prompted the development of a mathematical equation that takes into account shear stress and ice temperature in order to connect it to experimental data. This research suggests that the buried interface exhibits premelting behavior, just like the free surface of the ice. The results from this research show that, over a range of velocities and temperatures, ice friction acts as a function of the sliding speed and temperature. We now know that ice is slippery due to a combination of premelting and friction, but how does this information relate to winter sports? The conditions of ice and the surrounding environment play a role in a variety of winter sports. Ice that is closer to the bulk melting temperature is known as “soft” ice and leads to slower conditions for skating. The optimal temperature for figure skating, for example, is -5.5°C, as skaters prefer soft ice for balanced landings. Hockey players, on the other hand, thrive on ice that is colder and further from the bulk melting temperature. The optimal temperature for hockey players is -9°C, which provides “hard”, and therefore fast, ice (Ref. 1). In speed skating, a skater’s time is influenced by the ice conditions as well. According to my colleague Ad van der Linden, before the arrival of artificial ice rinks for speed skating some sixty years ago, ice conditions were far from equal for skaters. In those days, competitions could be a lottery, with skaters having to compete outdoors in arctic and often changing weather conditions. Nowadays, indoor climate-controlled ice rinks provide more equality in terms of skating conditions. Regular resurfacing of the ice with specialized motorized equipment helps reduce unequal skating conditions even further. 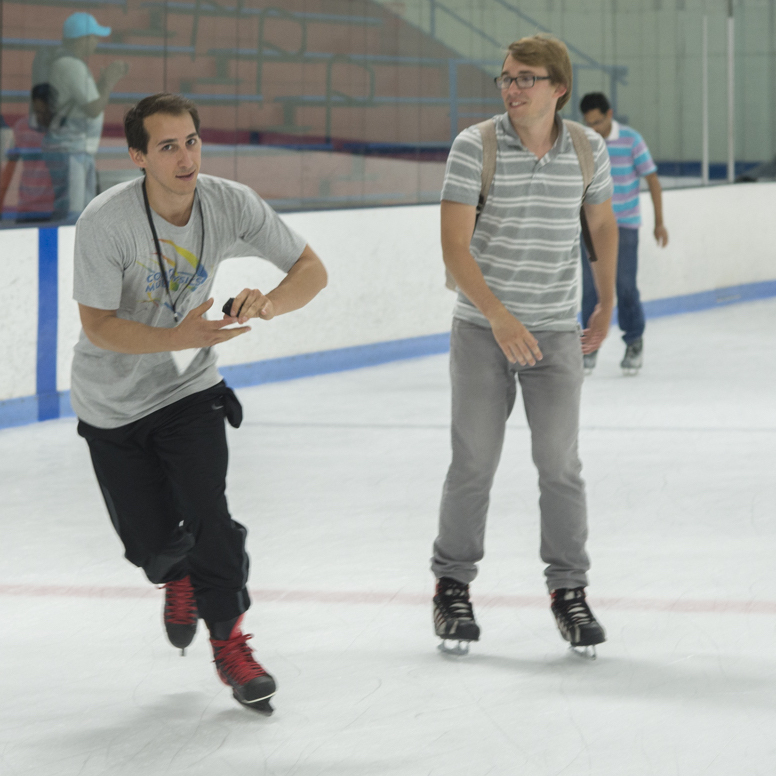 Two of my colleagues ice skating at a company sporting event. However, in today’s speed skating, even the interval of resurfacing has become a point of discussion. In the resurfacing process, the ice gets covered with a thin layer of water, which freezes on top of the existing surface. Immediately after resurfacing, skating times are relatively slower. 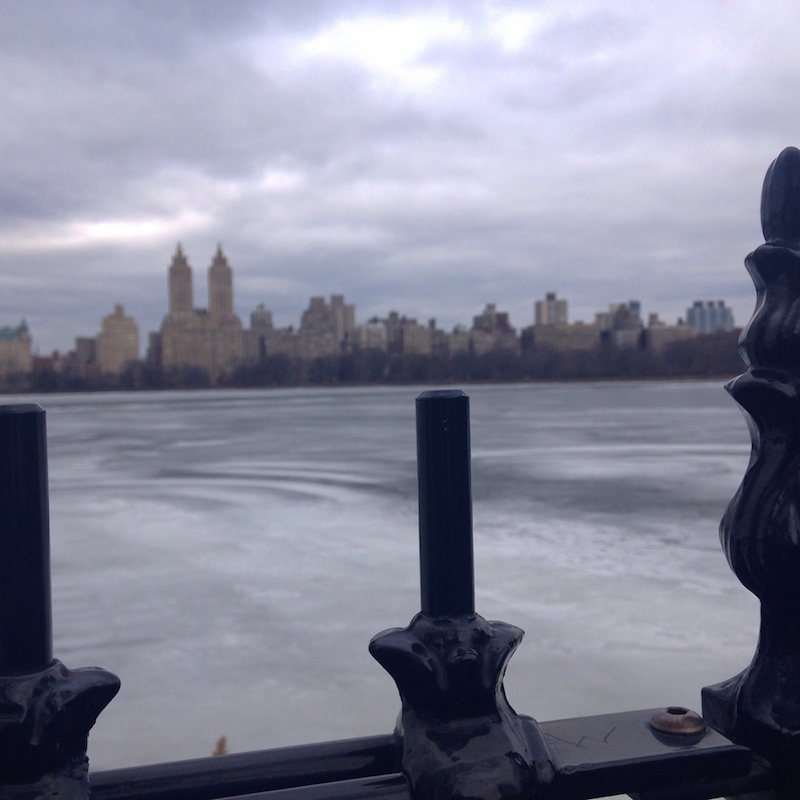 About 10 to 15 minutes later, there is an optimal time to skate before the ice starts to slow the skaters down again. But since top speed skaters take 30 seconds or less to complete a 400-meter lap, the differences between “fast” and “slow” ice are only small fractions of a second. Therefore, skating directly after a resurfacing may be more of a psychological disadvantage than an actual one. For skiing and snowboarding, you can still slide at extreme arctic temperatures, even as low as -30°C, because premelting still occurs in ice and snow this cold. At temperatures below that, which the average skier would rarely encounter anyway, the snow may be too cold for the sporting equipment to move through. Some experts have even described snow conditions at these temperatures as “sandlike” (Ref. 1). 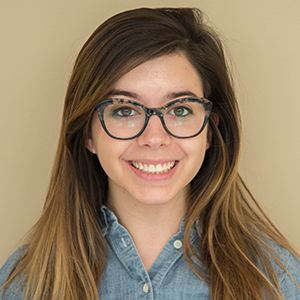 Further research into understanding the properties of ice could help competitive figure skaters, speed skaters, skiers, and snowboarders improve their performance. It could also be useful for the design and development of snow tires and specialized winter shoes. If you have performed any ice-related research, leave us a comment below! R. Rosenberg. Why Is Ice Slippery?. Physics Today. Dec. 2005; 50-55. Can a Stiffness Be Negative?